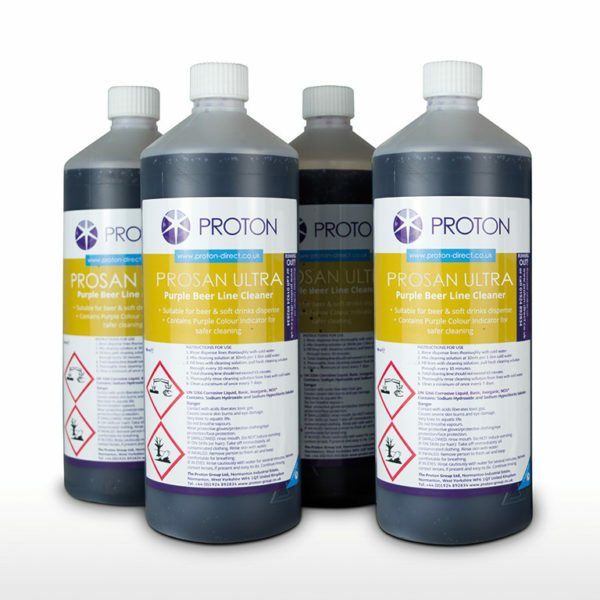 A premium purple line cleaner, with outstanding water softening capabilities, suitable for all water conditions including VERY HARD. Recommended by Valpar, manufacturers of dispense lines/pythons. The 2% dosage allows for great results due to a high caustic, low chlorine ratio, ideal for chilled dispense systems. Found in a pre-measured single dose bottle eliminating the risk of over or under dosing. Simply pour one full bottle into a standard 50L cleaning vessel. Pack contains 4 bottles, allowing for easy monthly purchasing.